located 8 miles West of Cheyenne, WY, on Otto Road. Follow West Lincolnway until it turns into Otto Road. Range hours are from sunrise to sunset. 22 Precision Rifle match starting April 7th. This will become a regular monthly match the first Sunday of every month. This is all bench rest from 25 yards to 120 yards, 6 stages, 60 round minimum. Warm up and sight in starts at 10:15 a.m. and shooting starts at 11:00 a.m. Afternoon folks. First we would like to thank you for your patience during our construction while upgrading our Long Range. We hope you enjoy the new enhancements. We appreciate all of our members and would like to remind you that as a shooting range safety is very important to everyone and the range rules must be abided by at all times. If you are found not following range rules your membership could be permanently revoked. Thank you to all who observe the range rules and keep us all safe. Thank you from all of us at Otto Road Shooting Range! 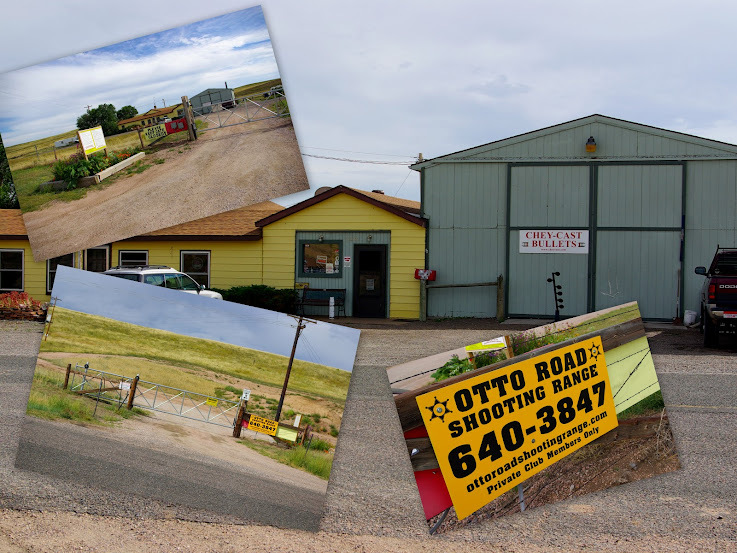 For the past three years King Ranch and the Otto Road Shooting range have joined the efforts of responsible shooters to support the fund raising efforts of the Wyoming Breast Cancer Initiative and “Kathy’s Friends”. During the month of September close to 100 participating shooters of Defensive Pistol, Precision Rifle, Steel Challenge, Action Pistol and the Well Armed Woman donated all match fees in addition to individual shooter donations. All associated range fees were also donated. Responsible shooters many times are lumped in with those who would misuse firearms for nefarious reasons. Responsible shooters are good citizens, good neighbors and caring members of the community. Thanks to Kristi Weidenbach for organizing events for Kathy’s Friends, Mark Eisele of King Ranch and Hank and Dee VanGoethen Otto Road shooting range managers. Mark your calendar plan to join us next year as we continue to support this worthy effort. We are erecting 9 ft. X 13 ft. shade covers for 12 of our 26 bays. We are offering you or your business to advertise on one of the shade covers. We will place your 2 ft. X 2 ft. sign (you provide the sign) on the cover and you will also receive a lifetime single membership for just $1,000.00. We only have 8 left! STEP UP FAST to claim your spot. All covers to be completed by July 15, 2018. Please contact Hank at 307-640-3847 or stop by the office and see us. Click HERE for all your renewal options! WE NOW HAVE LONG RANGE OUT TO 1,000 YARDS. COME CHECK IT OUT! Check out this drone video of our amazing range! for more information on upcoming events being held on the range. Please Follow and like us on Facebook™ for up to date changes and announcements.